Stephen Bartholomew Photography | Dear Diary 8th September - "But Someone Has To Do It Tour”. Are We There Yet? Dear Diary 8th September - "But Someone Has To Do It Tour”. Are We There Yet? Dear Diary 8th September - “But Someone Has To Do It Tour”. Burghley to Blair, my daily diary of two weeks of top end equestrian sport from behind the lens. Are We There Yet? Started the second leg of the tour with two other photographers Libby Law and Julie Priestley. People that have met these two will know this would not be a trip without incident. Hit the road to Blair this morning from Oakham at just after 10:00 and arrived in a time of 7hrs 12m [c380 miles]. Two stops the first to refuel - Diesel in the VW, Julie with Black Coffee and Libby with Red Bull. With the ubiquitous access to the Internet the journey was spend with both taking and posting selfies, texting, blogging and wiring pictures - results on their FB Pages. Highlights - Julie’s creative crop on the Welcome To Scotland Sign and no I was not driving that fast and ensuring that did not drink a second Red Bull. We arrived at Blair with enough time to take a good look around, get bearings and take a few pictures. 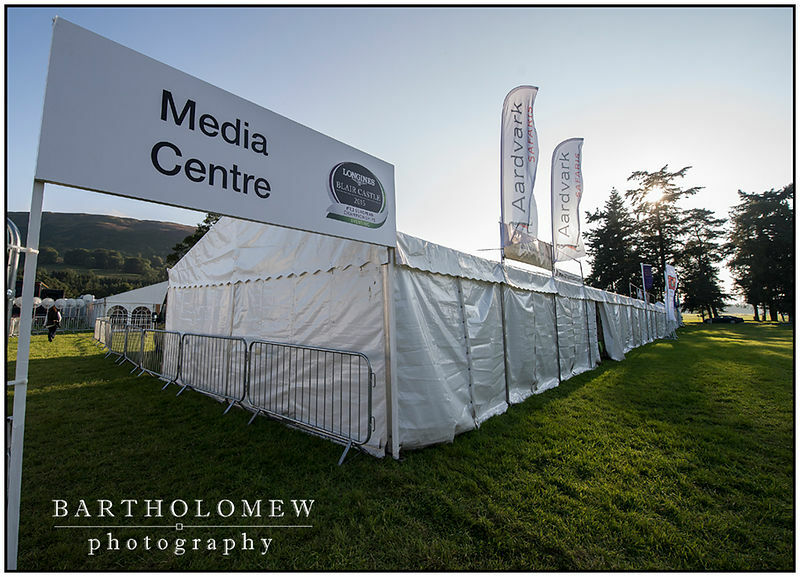 The Media Centre opens in the morning for registration. We will probably then walk the cross country course, then shoot the first inspection followed by the opening ceremony. As I write, the camera batteries are charging ready for the first day of The FEI European Eventing Championships 2015 Blair Castle. Picture : Blair Castle makes ready. FEI European Eventing Championships 2015 Blair Castle. Access to the Media Centre and work place for the next five days. 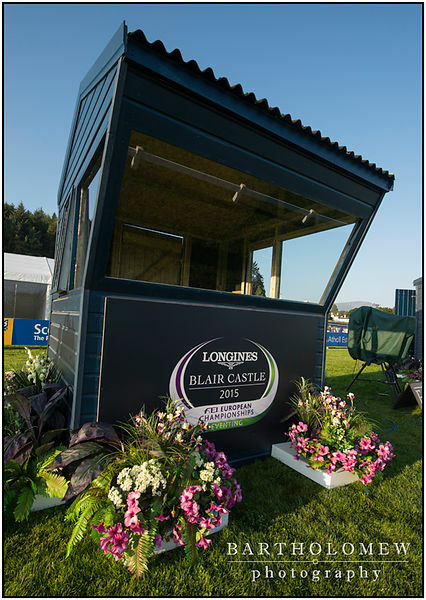 FEI European Eventing Championships 2015 Blair Castle. 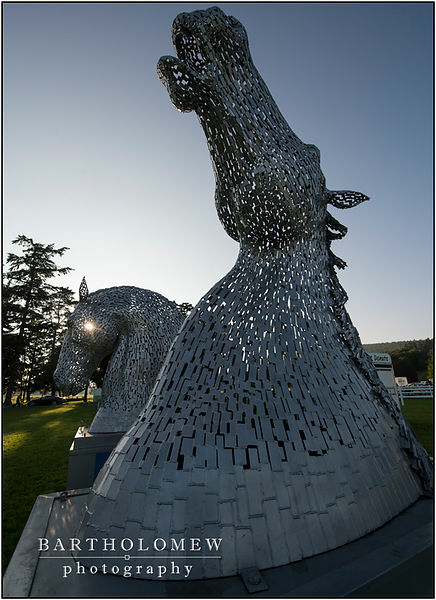 One of the two sets of 1:10 scale copies of the Kelpies, a sculpture of Clydesdale horse heads in Falkirk. FEI European Eventing Championships 2015 Blair Castle. 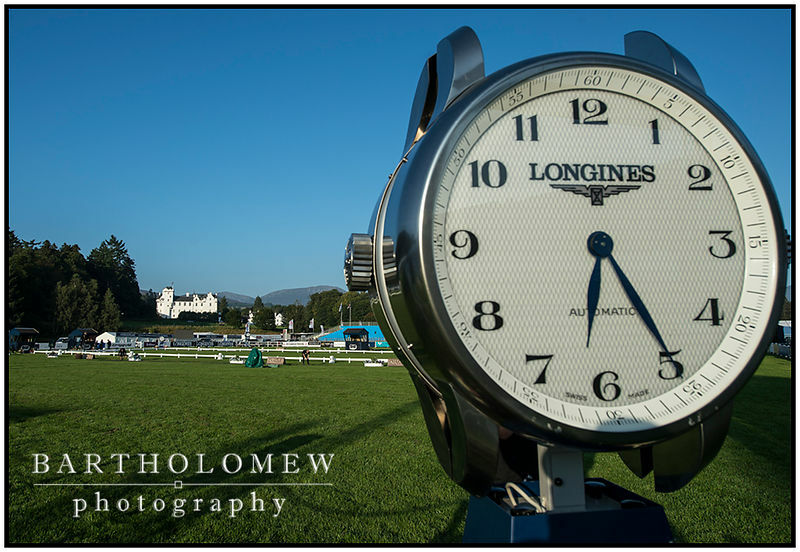 Timing equipment by Title sponsors Longines in the main arena. 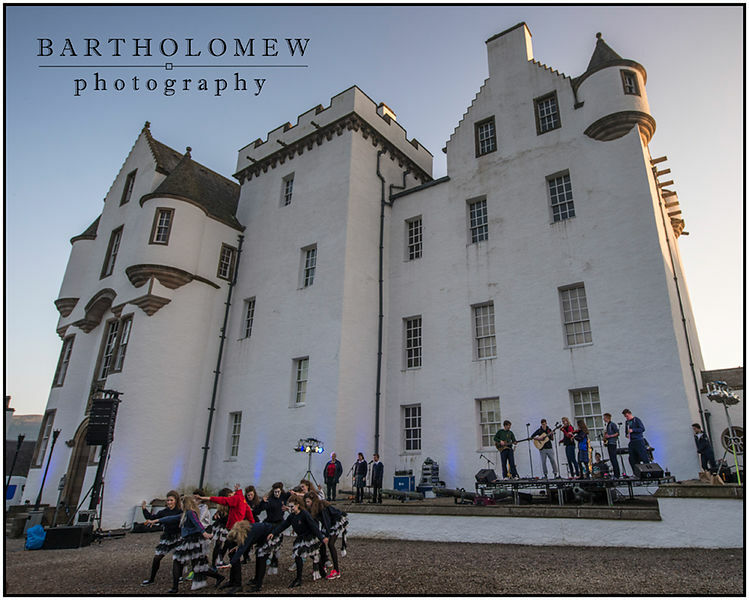 FEI European Eventing Championships 2015 Blair Castle. Judges hut at C ready for the dressage tests in the main arena. 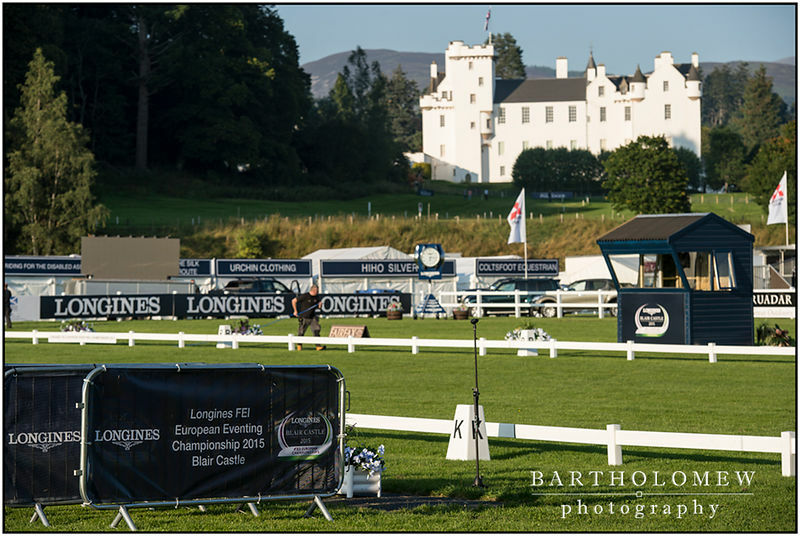 FEI European Eventing Championships 2015 Blair Castle. Rehearsals for tomorrow's opening ceremony in front of the Castle. FEI European Eventing Championships 2015 Blair Castle. View of Blair Castle from the main arena.